The International Centre for Settlement of Investment Disputes (ICSID) has become the leading arbitration institution for the resolution of investor-state disputes. Today, any company considering an investment in a foreign country and any financing entity playing a role in the investment must be aware of ICSID and the growing matrix of bilateral investment treaties (BITs) and multilateral treaties (MITs), most notably, the North American Free Trade Agreement (NAFTA) and the Energy Charter Treaty (ECT), providing access to ICSID. Familiarity with the regime and jurisprudence of ICSID arbitration is essential for any international investment lawyer, whether focused on transactions or disputes. 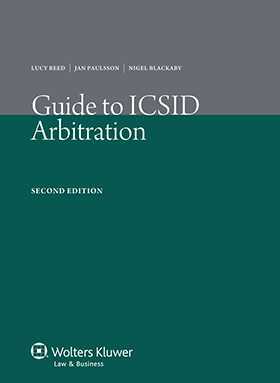 This Guide to ICSID Arbitration, first published in 2004, was written by three leading ICSID arbitration practitioners in the eminent international law firm of Freshfields Bruckhaus Deringer to fill the gap in the literature between generic descriptions and detailed academic commentary. This second edition of the Guide takes account of the scores of ICSID awards and decisions rendered since 2004, as well as significant amendments to ICSID rules and practices. It provides a sufficiently detailed but still ‘user-friendly’ understanding of what ICSID arbitration is, when and how it can and should be used, and how an ICSID case works from start to finish. It offers potential and non-expert users of the ICSID regime - as well as those generally interested in investment treaty arbitration - the essentials of the ICSID Convention and of BITs and MITs, the various sets of rules, ICSID procedure, and the now considerable body of ICSID jurisprudence. comprehensive tables of ICSID awards and decisions on specific substantive and procedural issues. The second edition of the Guide to ICSID Arbitration will be of incomparable value to international investors, corporate counsel, businesspersons, government legal advisors, interested lawyers and arbitrators, and students of dispute resolution. Pitched at an ideal level between academic scholarship and introductory texts, it offers participants in all these areas a practical guide to the day-to-day realities of international investment dispute resolution.